Media practitioners must take some blame for the negative connotations often ascribed to people of African descent and have a critical role to play in reversing the stereotype and spreading the message of emancipation. This is the view of Emancipation Support Committee chairman (ESC) Khafra Kambon, days after the country officially celebrated the 185th anniversary of the end of slavery in the region. 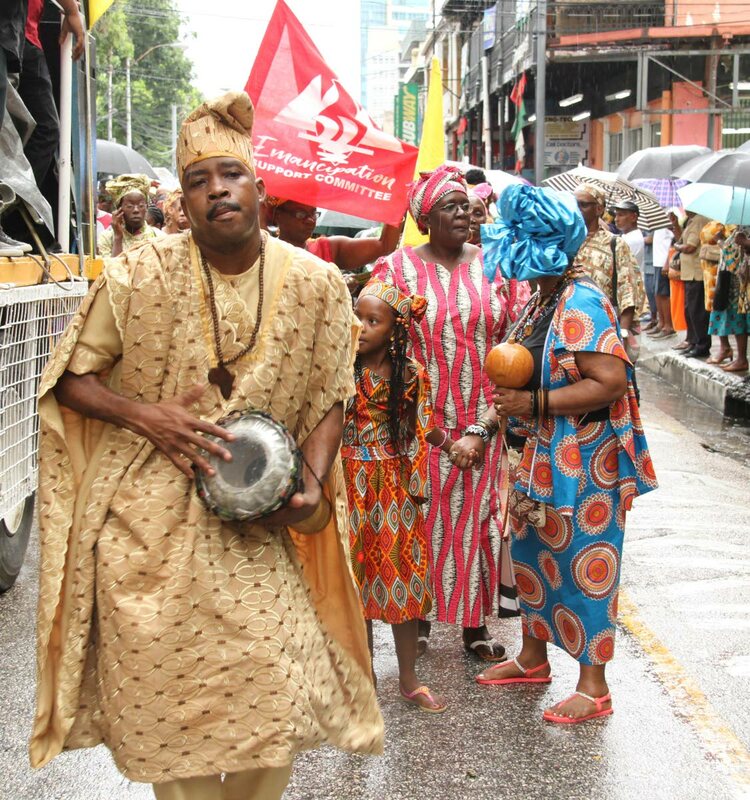 Emancipation Day in Trinidad and Tobago was declared a national holiday in 1985. “People in the media need to expose themselves to a deep education about his or her Africanness so that it can be projected in what is done,” he said in a Sunday Newsday interview. Kambon observed that even in areas where there may have been some strides in promoting a greater acceptance and appreciation of emancipation, “subtle things” in the media have “undermined the little consciousness process that has been building. “It gets undermined by the way things are written, the things that are said,” he added. Highlighting this year’s ESC theme, Empowerment To Face Today’s Challenges, Kambon said while emancipation impacted almost every ethnic group in the society, people of African descent were the most disempowered in terms of dealing with the problems confronting the society. Kambon said even in institutions and activities that are supposed to build self-esteem and identity, “we are relatively deprived in that, not because we don’t have strong culture. However, he argued that many elements of national culture have come out of those strong reservoirs of African culture, including calypso and steelband. Reply to "Kambon: Media to blame too for African stereotype"